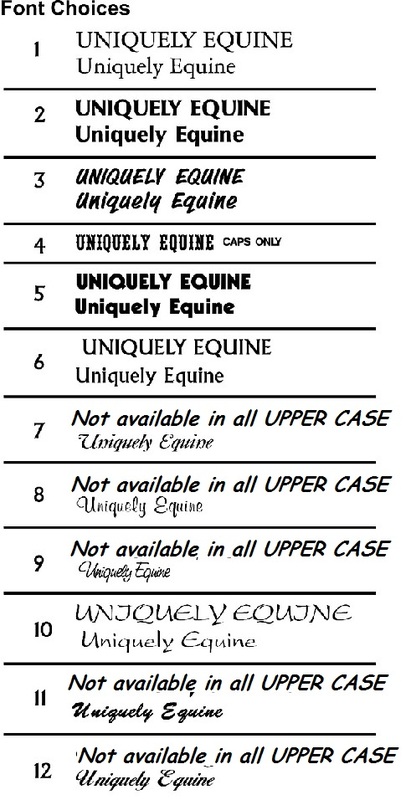 Your horse's name ( or other text ~ makes nice wedding gift!) will be accentuated against this uniquely textured background on this 5.5" tall x 15.5" wide sign. 2 Lines of text are included in the price shown. Fully customize your sign by choosing from natural, medium oak (shown in photo) or redwood texturing and indicate what colors you'd like the edges and lettering done in below.